Empxtrack HRIS serves as an online employee database system as well as a fully operative decision analysis tool for organizations. A highly configurable, cloud-based human resource information system (HRIS) that enables organizations to centralize employee data and access it instantly, thus speeding up HR processes. It integrates seamlessly with leave, attendance, payroll and other tools to avoid duplicate data. Empxtrack HRIS manages HR data with ease, consistency and accuracy. Employee data remains highly secured as it is governed under high-level security practices. This cloud-based HRIS solution stores all your employee data on a single, easily accessible, online location and eliminates the need for personnel files. With powerful and fully integrated reporting tools, Empxtrack HRIS provides clear insight into organizational resources and minimize the time spent by staff on day-to-day administration. Crucial employee documents are readily available for compliance requirements without having to maintain multiple files and papers. 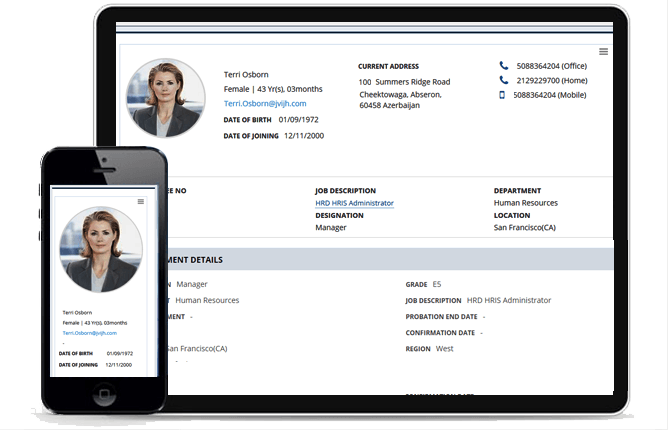 Empxtrack HRIS enables employees to view and update their personal details, emergency contact, life events, qualification, and other information on their own, with a tailor-made approval process. Get easy access to view tax pay advices, medical and savings plans in just a few clicks. Empxtrack HRIS is a user-friendly, comprehensive and smartphone compatible software. Store all employee records in one easy to access, online location. Control view and access rights at a granular level. Different changes can have different approval processes and integration with external systems. 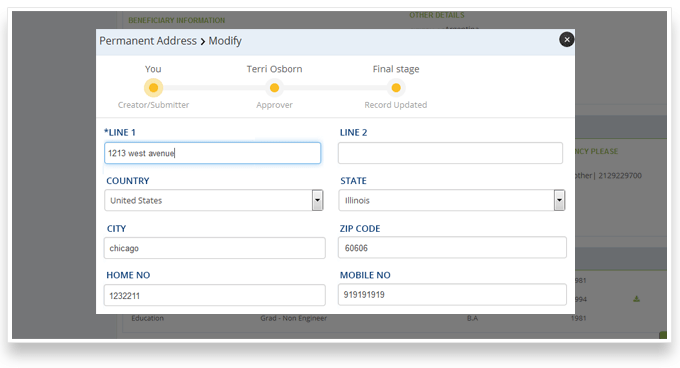 Setup 100s of custom fields, records, document types and set masters as per your needs. View and analyze company hierarchy. 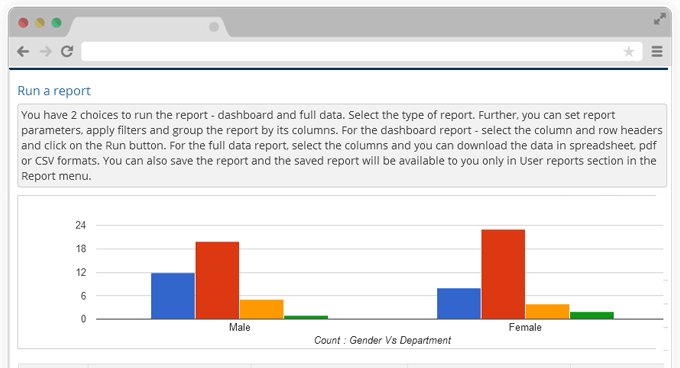 Generate customized reports and dashboards according. Integrate with external systems using API. Send emails, print letters, generate auto reminders and streamline all your HR tasks. We are delighted to inform you that we are extremely happy with your company’s HRIS (Empxtrack) services. On behalf of mPortal (India) Wireless Solutions Pvt Ltd., we would like to acknowledge and appreciate your services for last two years. Your prompt problem solving solutions, analytical skills, out of the box thinking and result oriented services have been of great help for our company. We thank all your team members who have put their best work to get out work done in time. We at SBCS, would like to applaud you on your training style. Your clarity, diction, patience and overall simplistic paraphrasing during the navigation of the HRIS Program with our staff members, was appreciated. We gave you an overall rating of 4 out of 5. We look forward to a vibrant continued relationship with you. Dropbox Hacked, Is HR Data Secure in the Cloud HRIS?